New York, NY (February 5, 2019) – Capping over 50 years of touring and recording, George Clinton is set to embark on his final tour with the legendary Parliament Funkadelic before he retires. After joining Red Hot Chili Peppers for a 9 city tour of Australia Feb-March, George and P-Funk follow up with their own Australian headline tour in April where they will hit the legendary Bluesfest stage in Byron Bay, and a stint in Japan at Billboard Live. Starting after Memorial Day weekend the group will hit the road in North America with the “One Nation Under a Groove Tour.” Joining P-Funk to send this icon of American pop culture off with a BANG are Galactic, Dumpstaphunk, and Fishbone, and Miss Velvet & The Blue Wolf, all of whom are taking time out of their own busy schedules to hit the road with the Grammy-winning, once-rainbow-dreaded pioneer of Funk, Hip Hop, and Rock & Roll. Tickets for the tour will be available to the general public beginning Friday, February 8th at 10:00 AM local time. Pre-sale tickets will be available beginning Thursday, February 7th at 10:00 AM local time through 10:00 PM local time. For more information and all ticketing information please visit facebook.com/1nationunderagroove and www.georgeclinton.com. 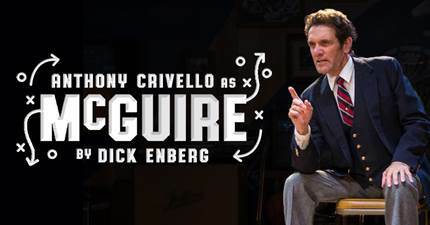 The tour launches in Milwaukee on Thursday, May 30, at the Miller High Life Theatre, 500 W. Kilbourn Avenue (6th & Kilbourn). 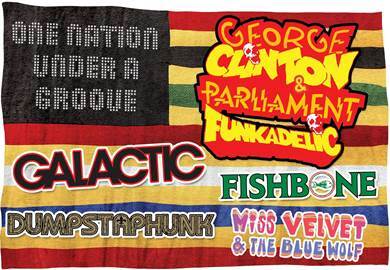 The 7:00 p.m. concert stars Clinton, Parliament Funkadelic, Galactic, Fishbone, and Miss Velvet & The Blue Wolf. Tickets will be sold at the Miller High Life Theatre box office, 1.800.745.3000, and Ticketmaster.com. UAA and its co-owners, Jeff Epstein and Jeff Allen, are gearing up to celebrate the 75th anniversary of the company’s founding in 1945 with “One Nation Under a Groove” as the flagship tour for this year, among many shows they are rolling out for the 2019-2020 season. “We are excited and honored to be sending one of the most iconic touring artists in history into his well-deserved retirement with a bang, and quite a bang this will be. It is a fitting culmination of our years of work together,” says Jeff Epstein. Recording both as Parliament and Funkadelic, George Clinton revolutionized R&B during the ’70s, twisting soul music into funk by adding influences from several late-’60s acid heroes: Jimi Hendrix, Frank Zappa, and Sly Stone. The Parliament/Funkadelic machine ruled black music during the ’70s, capturing over 40 R&B hit singles (including three number ones) and recording three platinum albums. Inspired by Motown’s assembly line of sound, George Clinton gradually put together a collective of over 50 musicians and recorded the ensemble during the ‘70s both as Parliament and Funkadelic. 1978-79 was the most successful year in Parliament/Funkadelic history: Parliament hit the charts first with “Flash Light,” P-Funk’s first R&B number one. “Aqua Boogie” would hit number one as well late in the year, but Funkadelic’s title track to “One Nation Under a Groove” spent six weeks at the top spot on the R&B charts during the summer. The album, which reflected a growing consistency in styles between Parliament and Funkadelic, became the first Funkadelic LP to reach platinum (the same year that Parliament‘s “Funkentelechy Vs. the Placebo Syndrome” did the same). In 1979, Funkadelic‘s “(Not Just) Knee Deep” hit number one as well, and its album (“Uncle Jam Wants You”) also reached platinum status. Clinton began his solo career with 1982’s “Computer Games.” Several months later, Clinton’s “Atomic Dog” hit number one on the R&B charts; it stayed at the top spot for four weeks, but only managed number 101 on the pop charts. Clinton stayed on Capitol for three more years, releasing three studio albums and frequently charting singles in the R&B Top 40. Clinton’s visibility and presence has become familiar to a wider audience thanks to appearances in movies “The Night Before,” “House Party,” “PCU,” and “Good Burger,” hosting the HBO original series “Cosmic Slop,” and doing commercials for Apple computers, Nike, and Rio Mp3 players. Clinton also composed the theme songs for popular TV programs “The Tracey Ullman Show” and “The PJs.” Clinton has received a Grammy, a Dove (gospel), and an MTV music video awards, and has been recognized by BMI, the NAACP Image Awards, and Motown Alumni Association for lifetime achievement. Clinton’s Parliament/Funkadelic was inducted into the Rock and Roll Hall of Fame in 1997. Galactic’s first new studio album in more than three years, ALREADY READY ALREADY – released on their own Tchuop-Zilla Records – sees the renowned New Orleans based instrumental outfit taking a distinctly contemporary approach towards their own progressive sound, interpolating modern rhythms and electronic instrumentation within the house-shaking framework of the Crescent City’s funk pop ‘n’ roll. Produced by the band’s Robert Mercurio and Ben Ellman, the new LP finds Galactic once again enlisting a diverse array of vocal collaborators to assist in their musical exploration, each of whom lend lyrical flavor and individualistic personality to the band’s multi-faceted sonic grooves. Bookended by a high powered pair of trademark Galactic instrumentals that give the album its title, ALREADY READY ALREADY. The album is a short, sharp blast of undeniable creative muscle, from the stripped down kick/snap verses of “Going Straight Crazy,” featuring New Orleans singer (and YouTube sensation) Princess Shaw, to punk cabaret artist Boyfriend’s quirky speed-rap on the breakneck “Dance At My Funeral.” As ever, Galactic’s omnivorous musical interests make easy classification utterly impossible – ALREADY READY ALREADY is as all-encompassing and universal as the band’s moniker established long ago. Combining equal parts of deep funk, high-energy punk, and frantic ska, the Los Angeles-based Fishbone was one of the most distinctively eclectic and influential alternative rock bands of the late ’80s. With their hyperactive, self-conscious diversity, goofy sense of humor, and sharp social commentary, the group gained a sizable cult following during the late ’80s. Led by vocalist/saxophonist front-man Angelo Moore, the band formed in 1979 while the members were still in junior high; the original lineup comprised Moore, Chris Dowd, Kendall Jones, Walter Kibby II, and brothers John Norwood Fisher & Philip “Fish” Fisher. After performing in local clubs during the early ’80s, the group signed with Columbia Records in the mid-’80s. Their first release was the 1985 single “Party at Ground Zero“, followed by a self-titled EP, Fishbone, produced by David Kahne. In 1987, in support of their first full-length album, In Your Face, the band performed “Jamaica Ska” in the Annette Funicello/Frankie Avalon reunion movie Back to the Beach. The current line-up performed on Lollapalloza 1993 tour, and has shed its influence on chart-toppers, Red Hot Chill-Peppers, Sublime and No Doubt amongst other contemporaries. New Orleans’ Dumpstaphunk stand out as one of the funkiest bands to ever arise from the Crescent City. Born on the Jazz & Heritage Festival stage, and kin to both The Meters and The Neville Bros, Dumpstaphunk’s performances combine ingenious musicianship with complex funk and rock arrangements with a lethal combination of 3 vocalists and 2 bass players. Founding member Ivan Neville, (also a member of Keith Richards X-pensive Winos in the 80’s), lights up the Hammond B3, accompanied by dueling baselines from Tony Hall and Nick Daniels III who set off one of the dirtiest rhythm sections on the planet! Ian Neville’s funky guitar riffs send the groove into overdrive, as the band tosses around lead vocals and four-part harmonies reminiscent of Sly & the Family Stone. With three studio albums under their belt, countless Offbeat Magazine awards for “best funk band,” and over a decade of touring and major festival appearances, Dumpstaphunk stands on the merit of their own material with songs like “Dancin’ To The Truth” from their LP Dirty Word (July 30, 2013, Louisiana Red Hot Records), and 2017’s politically charged “Justice” which features Grammy-nominated Trombone Shorty, sharing the true spirit of New Orleans with every note. Most recently Dumpstaphunk has been joined on stage by legends Carlos Santana, Bob Weir, and Original Meters bassist George Porter Jr., and on Thursday May 2, 2019 was selected to appear on the main stage of the 50th anniversary of Jazzfest in New Orleans directly preceding the highly anticipated appearance of The Rolling Stones! MISS VELVET & THE BLUE WOLF chose Detroit’s iconic United Sound Studio (home to music legends like Earth, Wind & Fire, George Clinton & Parliament Funkadelic) to record their debut album BAD GET SOME (released Oct. 27th 2017) to rave reviews both internationally and at home in the Huffington Post. Produced and music-directed by Isotopia Records, the album features native New Yorker Miss Velvet on powerhouse vocals. The talented Blue Wolf Band, Constance Hauman (keys and producer) Nick Carbone (drummer and producer), James Jones (bass), Henry Ott (guitars), TJ Robinson (trombone and congas), Trevor Neumann (trumpet), and Dan Levine (trombone) infuse their unique and infectious blend of rock, soul and funk throughout the album, inspired by the jaw-dropping vocals of front woman Miss Velvet. With their debut single DARE, Miss Velvet and the Blue Wolf take the listener on a journey back to the days of psychedelic rock and epic rock vocals. 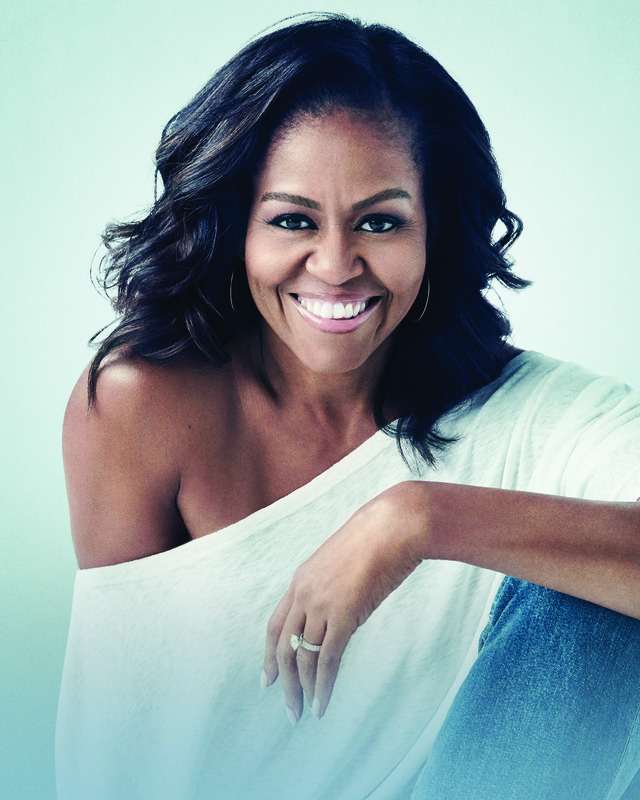 Each stop will feature to-be-announced moderators who will appear in conversation with the former First Lady.